Retiring Soon? Consider Weather, and Taxes! 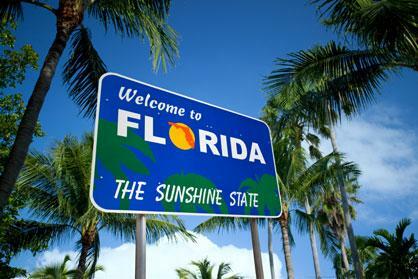 Living in Florida is a common dream for many people, especially ones in northern states, with cold, snowy winters. While not the only consideration when contemplating retirement places, climate is a powerful motivator. Growing up in Wisconsin, we always claimed that there were two seasons; Winter and Road Construction. But it took more than climate to drive us to make the move long before retirement age. SALT payments were 100% deductible for Federal Tax purposes, taking some of the sting away. Without the SALT deduction, many high-tax states would probably have less overall population, and certainly fewer financially-successful residents than under previous tax law. With the recent passage of the Tax Cut and Jobs Act, we are about to test that theory. Throughout the ugliness of finalizing the new tax law, proposals ranged from total elimination of the SALT deduction, to keeping the SALT deduction “as is.” A compromise seemed all but certain, and we got just that, in the form of an overall limitation on the SALT deduction to $10,000 annually. Coupled with the greatly-expanded Standard Deduction, many people will be totally unaffected by this limitation. However, the highest earning Americans in the high-tax states will be paying more – some of them a lot more. Escaping high taxes by moving to the land of Sunshine and Oceans seems like a slam-dunk decision, but other states are vying for your retirement plans with creative tax provisions of their own. Since not everyone can tolerate our hot and humid summers, many retirees will be comparing other taxation climates. Some states exempt retirement income, including Social Security, from state taxation, eliminating Florida’s competitive advantage. Some states also give seniors a property-tax deduction (Florida does this). Military retirees receive tax-free pension income in some states. Tax policies are as varied as the number of states. There are also some foreign countries getting into the competition with low-tax domestic incentives. Non-economic factors will continue to play a role in location selection. Family location, traffic patterns, and availability of recreational and cultural amenities will contribute to decision-making. Starting in 2018, taxes will contribute more than ever before in the decision to relocate to a new state. With more people expressing a desire to leave their high-tax roots, states are likely to get creative in their inducements for senior relocation. Van Wie Financial is fee-only. For a reason.